We want the Star Wars Battlefront forums to be an enjoyable place to visit, and discuss everything and anything Battlefront. Everyone should be comfortable making a post, sharing their thoughts and ideas, as well as interacting with other players. Our forum moderators monitor posts. Posts that break the rules and guidelines may be removed. Breaking the rules can also result in sanctions or bans being applied to the forum account on a case by case basis. Here's a breakdown for what to do and what not to do here on EA Forums. Post in the right place. Check the section you're posting in before submitting. If a post is in the wrong place we might move or remove it. Use the search feature to see if there's already a thread for your question. If there is, use it instead of making a new one. Try to include all your points in a single place. Be descriptive. Give us as much information as you can. Name your thread "The Sims 4 Gallery - I need help with feature X" instead of just "Help!" That way everyone can be ready to help you, faster. Be accurate. Make sure the title of your thread matches what your post is about. Link to first party sites when you're helping with tech issues. If someone needs help with their nVidia driver, link to the nVidia website. That way we know we can trust the source of the info. Post in the language of the forum. Keep it on-topic. If someone created a thread, it's because they're looking for an answer to their question or want to discuss a specific topic. Changing the topic of the thread isn't helpful. Keep it game-related. We're not here to debate politics or religion or lobby for anything, so keep the conversation about our games. Keep it appropriate. Players of all ages see EA Forums, this is true even for T and M rated games. Make sure that any posts or images you use are in line with the EA Forum Rules & Guidelines below and the EA User Agreement. Be patient. Keep track of your thread using bookmarks or by subscribing to the thread. Other players will post in your thread when they are interested or have an answer for you. Be polite and kind. Respect others even if they have a different opinion. If you disagree with someone, you are free to do so politely, but please don't make it personal. Respect also means you never harass, embarrass, or threaten other players. Doing something on this list often can get you suspended, or sometimes even banned. Call out Community Managers and Officials. Be cool, folks. We know you want to grab our attention, but good thread titles like the example in Dos will help you get our attention much easier. Petition and boycotts. Petitions and boycott discussions do not contribute to a useful and productive forum. Cheat to rank up. Level up your forum account just like you would level up in one of our games, by participating and not by cheating. Any threads posted to boost points or otherwise influence your forum rank directly will be closed. Post personal information. Forum posts are visible to everyone and can show up in search engine results. Protect the privacy of yourself and others. Be inappropriate. That means no obscenity or other explicit posts i.e. sexting. This includes role play threads. Be rude. No matter what your feelings are about other people, EA Forums aren't the place to attack another person. That includes public figures, EA employees, or other forum users. Chat about moderation. Our moderators are here to keep this place happy and helpful for everyone. Discussing the way they do things is not okay. Impersonate anybody. This includes EA employees, other community members, celebrities and anyone else. It also includes simulating privileges of forum accounts with a higher level rank, like signatures. Bumping threads or messages: Doing this once or twice is fine. Multiple bumps in a short period of time is considered spamming. Use your bumps wisely. Post blank or 'no text' messages: You won't receive an answer if your question is unclear. Mass tags: It's very rare that more than one tag is needed. Don't tag multiple forum members or EA Employees to get attention. Curse or swear. Don't try to get away with it by using symbols in place of letters, too. We all k*** what you're trying to s**. Make false claims to EA staff. Advertise. For anything: pay-to-play gaming sites, products or items for sale, referral links or advert links/images in forum signatures, avatar posts, blogs, profiles, you name it! But feel free to link to free gaming fan sites and free-to-enter league sites. Necropost. Reviving, updating or bumping old, outdated and irrelevant threads is not helpful for our community. It's best to check when the thread was created before you hit post, for example, make sure it's not 2 years. Make legal threats. The forums aren't the ideal place for legal discussions and posts including legal chat will be removed. These are more serious don'ts. That means if you do something from this list, we might ban you right away. Link to or discuss pirated and/or harmful content: Such as Trojan horses. That's not allowed and will result in account action. Be a troll, bait or flame. This includes deliberately trying to cause an argument by making sarcastic, off-topic, rude or disruptive posts, and discussions. Discriminate. That means no sexism, racism etc. 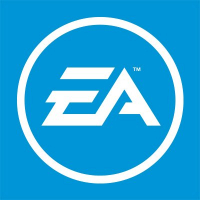 Promote or discuss activities that are against the EA User Agreement. This includes software piracy, "hacks", "torrents", game "cracks", and more. See that happening on the boards? Report it directly to EA. Posting anything that references adult materials. This includes linking to adult-themed mods for games. We've got young gamers on here, too. Asking for or giving out CD-Keys/Product Codes. Missing the code for your game? Head to help.ea.com to contact us. Sharing accounts. Sharing accounts will get you banned. Posting copyrighted material. This includes images as well as text from game guides. If you don't own it, don't post it. Creating more than one forum account. Accounts created for inappropriate or unauthorized reasons will be banned. Coin Buying / Selling / Promoting / Gambling. These are all against our EA User Agreement. A lot of our rules about images, avatars are the same as our Dos and Don'ts. But just to make sure it's clear, here's what you can and can't do. keep it clean, with appropriate images for all ages. make your own images. We like your style. include religious or political content. Debate which Madden is the best (2004, duh) all day on our boards, but don't bring religion or politics into EA Forums Keep it on-topic. use racist, hateful, controversial, or illegal content. include a cool picture. The above rules for images also apply for signatures. keep it tidy, with up to three lines of text. make it too long. The longer the signature, the more cluttered the boards will get. Limit your signature to three lines or less. Unless someone from the Forum Team has given you permission, keep it short. have large pictures or text. Sometimes bigger isn't always better. link to pirated and/or harmful content, like Trojan horses or adult-themed things. That's not allowed and will result in account action.